Philodendron belongs to the Arums or Aroid (Araceae), a family which is characterized by its distinctive spathe-and-spadix blooms. They are native to the West Indies and the tropical rain forests of Central and South America. The botanical name comes from the Greek: philos (loving) and dendron (tree), suggesting that most of its species are vines, although some are self-heading and do not require support. In nature, they typically climb tree trunks, obtaining moisture and nutrients trapped by the bark. In frost-free climates, philodendron appears regularly in landscape plantings. In temperate regions, it is a well-known foliage houseplant and used for interior landscape plantings in offices, lobbies or shopping malls. The plants do well as long as they are kept warm - 65°F minimum – moderately moist, and out of direct sunlight. Philodendronsdo best in loose, well-drained soil that is high in organic matter. They will grow in 100% sphagnum peat moss. Soilless mixtures such as peat-vermiculite or peat-perlite are also satisfactory. Philodendron can be propagated by tip and leaf bud cuttings. They have a tend to drop lower leaves, so air layering can be used to reduce the overall height of leggy plants. Philodendron are considered heavy feeders. Some plants will live for a long time without supplemental fertilization, however, a regular feeding program with a nitrogen fertilizer will increase leaf size and produces a larger, healthier plant. It is a good policy to fertilize more frequently at half strength than to apply one strong dose. Plants growing in low-light conditions require less fertilization than actively-growing plants. Fertilizer should be applied to soil which is already moist to avoid injury to plant roots. One of the essential factors in keeping philodendrons growing evenly with large, uniform leaves is ample water. Keep the potting mix consistently moist, but not wet. Make sure all excess water drains, since sitting in water or overwatering can cause root injury, which will cause leaves to turn yellow and drop. Maintaining a high-humidity environment with a pebble tray or by grouping plants will encourage larger leaves. Grow philodendron in bright, indirect sunlight. 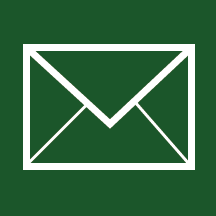 Full sunlight causes a yellowish color in the leaves or a sunburn spot. Artificial light – a mixture of fluorescent and incandescent light – gives best results if natural light is not present. Philodendron hederaceum is the most commonly-found houseplant variety, with solid dark-green leaves approximately 5” long on juvenile (indoor) plants. ‘Brazil’ is a popular cultivar with a band of yellow along the center of each leaf. Tree philodendron (P. bipinnatifidum, formerly known as P. selloum), is a common foundation plant in zones 8b-11, where it can reach a height of 12-15 feet with an equal or greater spread, and has deeply cut, green to dark green leaves up to 3 feet in length. As a container plant, it has the same cultural requirements as P. hederaceum and makes a dramatic statement in larger commercial and public spaces. Philodendron var. 'Xanadu' is a compact hybrid, suitable for home use. Other selections of philodendron that have been made popular by tissue culture are ‘Burle Marx’, ‘Congo’, ‘Hope’. The reddish selections include ‘Anderson’s Red’ (mostly green, with red overtones), ‘Autumn’ (light orange), ‘Imperial’ (green with some burgundy, also ‘Imperial Red’ with much more burgundy), ‘Rojo Congo’ (near-burgundy leaves on red petioles and ‘Prince of Orange’ (rich orange foliage). Philodendron speciosum is similar to P. bipinnatifidum but the leaves are not lobed; they are entire with toothed margins. 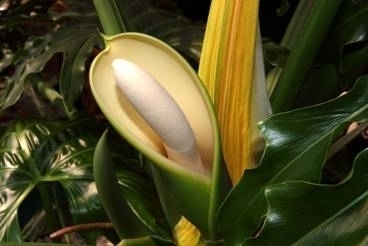 It bears an inflorescence with a white spadix and surrounded by a pink spathe. This plant is fairly rare and not commonly available at nurseries. A hybrid between P. speciosum and P. bipinnatifidum is sometimes seen in local landscapes but is rarely sold. Philodendron x evansii is a very ornamental plant with large, lobed leaves but not as deeply divided as P. bipinnatifidum. It bears a colorful inflorescence that is white with pinkish edges. 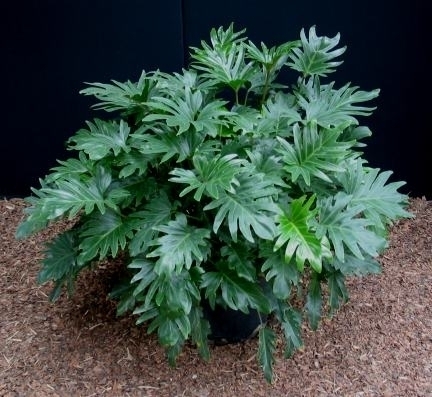 Philodendron ‘Xanadu’ is a small, self- heading plant that is great for small landscapes. It only grows 2 to 3 feet tall with a slender stem. The narrow leaves are shallowly lobed and are only 6 to 12 inches in length. It will grow in sun or shade. Philodendron ‘Xanadu’ is easily found in local nurseries. Philodendron bipennifolium has lobed leaves similar to P. bipinatifidum, Selloum, but not as large or dark green in color. The upright stems can grow 2 to 3 feet tall. Several other self-heading species exist but are rare and can be difficult to locate. Philodendron eichleri and Philodendron undulatum both have large, undivided leaves. Philodendron stenolobum is usually misidentified as P. williamsii. It has narrow, wavy leaves that can get 2 to 3 feet in length and grows a slender trunk several feet tall. Philodendron goeldii has divided leaves that resemble those of a Schefflera. Philodendron ‘Soledad’ is an unknown hybrid that resembles P. x evansii. Philodendron corcovadense is a small species growing 3 to 4 feet tall. Philodendron erubescens, the Red-leaf philodendron, has triangular leaves that are green and glossy and have a red tint on the undersides. The stems and leaf stems are reddish-purple. Philodendron radiatum has deeply lobed leaves up to a foot in length. Philodendron x wilsonii is a large climber with lobed leaves. These leaves can be 2 to 3 feet in length. In addition to the climbing philodendrons, there are some other vining aroids that can be grown in Central Florida and resemble philodendron. Monstera deliciosa, Ceriman, is a large climber with 2-3’ deeply lobed and perforated leaves, confusingly referred to as Split-Leaf philodendron in the trade. Monstera adansonii and Monstera friedrichstahlii are similar but with much smaller leaves, less than a foot long. They are fast-growing vines but do not develop an edible fruit. 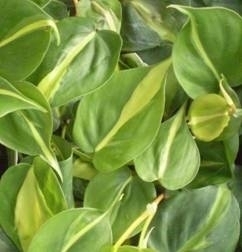 Epipremnum aureum, Pothos vine, has small, green, heart-shaped leaves marked with yellow. It is sometimes confused with Philodendron hederaceum, however, other than P. ‘Brazil,’ philodendron is usually sold only in its green form, while Pothos in cultivation is typically variegated; ‘Marble Queen’ is the form most frequently seen. Epipremnum pinnatum has dark green, divided leaves up to a foot in length. These other climbing aroids all prefer a shady location with moist soil. The Pennsylvania State University NE – 53 Published by the Cooperative Extension Services of the Northeastern states.